Red Dead Redemption II 2 Rockstar Games 4pc Pin Set. Loot Crate Exclusive. Includes 2 Pins and 2 Patches. 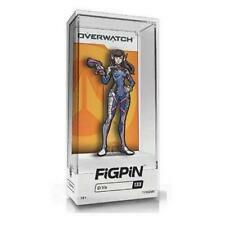 Gold Sombra Series 4 Blizzard Collectible Pin. These have been picking up steam at Blizzcon and in general for years now! Part of my personal collection, I ended up with duplicates and decided to part with these! Destiny Pin Xur Rare Chase. Condition is New. Shipped with USPS First Class Package. I have 3 all in good condition. Call Of Duty Black Ops 4 zombies FigPin set fig pin Bruno Stanton Diego scarlett. Condition is New. Shipped with USPS Parcel Select Ground. Featuring two 1" pins (Cuphead and Mugman in their aeroplanes), this is an official pin set you can't get anywhere else! A great collectible for diehard fans! Red Dead Redemption 2 Collectors Edition Canvas Bag & Pin Set! Sold Out! This set of six individual pins includes representations of key weapons from Red Dead Redemption 2 including a shotgun, revolver and Dead Eye "X" marker. Red Dead Redemption 2 Collectors Edition Canvas Bag & Pins! You will need to go to Bungie.net/redeem in order to redeem the code and claim your emblem. Set Of 4 Red Dead Redemption II 2 Enamel Pins New Rockstar Games. Brand new factory sealed condition as pictured. Great collectors item or gift ideas. Free Shipping! Thank you! New ListingDestiny 2 Unbroken seal CODE!!!!! TwitchCon EU 2019 Twitch Logo Pin. I have Purple/glow in the dark/ and regular. 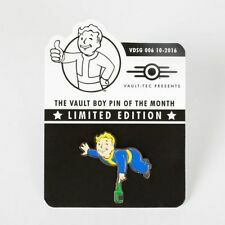 Please message which pin you want when purchased. Condition is New unopened in packaging. The pins are heavy and durable. They feel very well built and look amazing! I personally got these pins myself here in Berlin, Germany. Any questions please ask! Destiny Pin Retired Series 3 Last Word. Condition is New. Shipped with USPS First Class Package. New Limited Pin of Shantae Con Exclusive pin. Pin features the Blue Blur himself, Sonic! Party Supplies & Decoration. Toynk was started in the fall of 2001. Never submit an order that is not entirely correct. It was chosen simply because it is short and has the word toy in it. 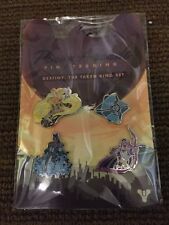 Destiny RARE Suros Regime Pin-Bungie Retired Pin. Condition is New. Shipped with USPS First Class Package. 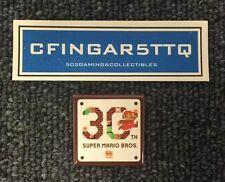 RARE, 2017 NINTENDO NES COLLECTIBLE. SEALED, NEW. Basically new just opened. still has emblem code. New ListingDestiny 2: Unbroken Seal Medallion Pin CODE Only. Destiny 2: Unbroken Seal Medallion Pin CODE Only. Will message code after transaction, paypal only. Fortnite Storm King Collectible Pin - Limited Edition. Condition is New. Shipped with USPS First Class Package. 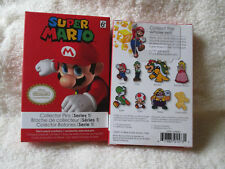 This item comes in the original packaging with some damage to the plastic box (shown in pictures). Thank you for your interest! 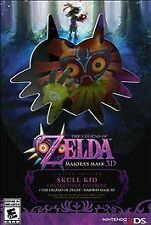 Legend of Zelda Majora's Mask Nintendo 64 N64 Promo Pin Button promotion. Condition is Used. Shipped with USPS First Class Package. TwitchCon EU 2019 Twitch Logo Pin.Condition is New unopened in packaging. The pins are heavy and durable. They feel very well built and look amazing! I personally got these pins myself here in Berlin, Germany. Any questions please ask! For sale is a pair of Bungie Collectible Pins from the Destiny 1 Series, The Bungie Foundation & Destiny Logo. Brand New & Sealed Nintendo Super Smash Bros Ultimate Metal Pin Promo Switch. Condition is New. Shipped with USPS First Class Package. New Gamestop Exclusive Promotional Anthem Enamel Pin Set of 4 Bioware EA Games. Condition is New. Shipped with USPS First Class Package. Wearable Pins. Inquire for more details if interested. Item is NEW/MINT! Pin only. Vans x Nintendo Sneakers Shoes Pins/Pin Set. 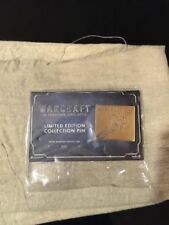 Gold Necromancer Series 4 Blizzard Collectible Pin. These have been picking up steam at Blizzcon and in general for years now! Lot of 8 MINECRAFT 1'' Buttons/Pins PARTY FAVORS!!!! Destiny 2 Unbroken seal CODE!!!! !